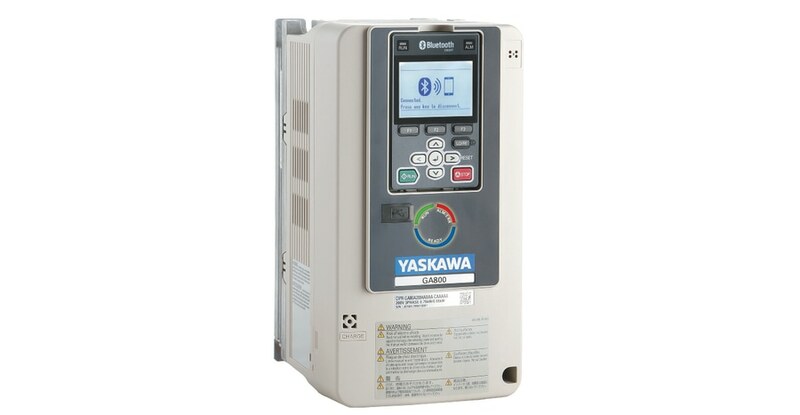 The GA800 Variable Speed Drive from Yaskawa America provides highly flexible network communications, embedded functional safety, and easy-to-use tools such as mobile device connectivity. It is the company’s new industrial general-purpose drive and it can handle every application its predecessor could, the A1000 drive, and more. It features a high-resolution multi-language display with Setup Wizards and Data-Logging, Bluetooth and DriveWizard Mobile for convenient and easy interactions, can be programmed without main power through an embedded USB port, and its Advanced Open Loop Vector generates impressive torque for near tripless operation. It also has a built-in brake transistor (up to 125 hp) for efficient heavy braking, Embedded Safe Torque Off to minimize downtime for applications needing occasional intervention, and a conformal coating resist contamination. 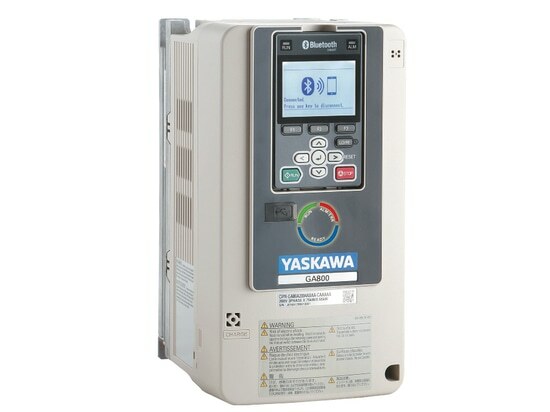 The G800 drive is available in 240 Vac / three phase (1 to 150 hp) and 480 Vac / three phase (1 to 600 hp) models. It has earned agency certifications for all major geographical regions.